This year more than any other I am seeing a plethora of pumpkin spice flavored everything. From cereals to coffee creamer to crackers, it's everywhere I look. While I'm not big on all the pumpkin spice products, I do love me some genuine pumpkin flavored goodies. 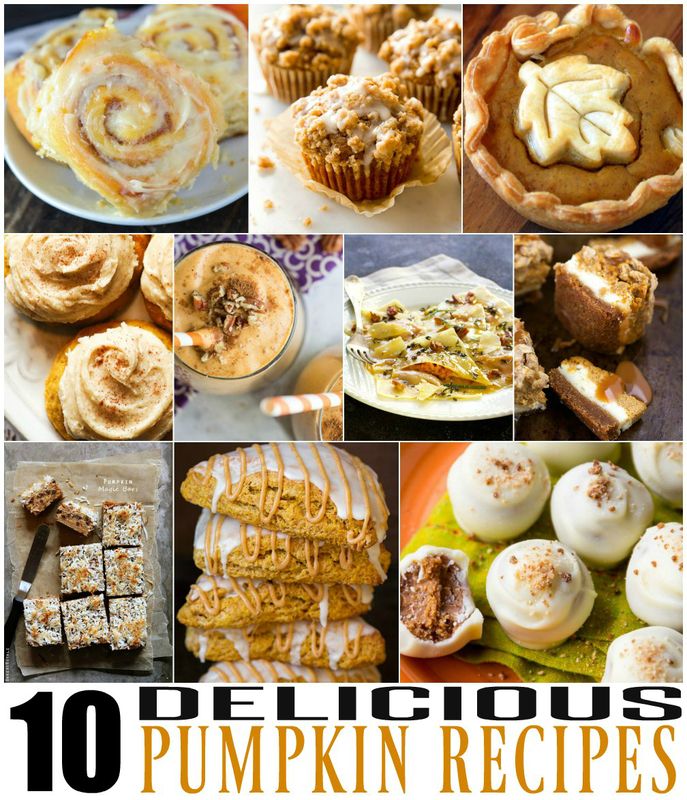 I've gathered my favorite pumpkin recipes in one place. From now until Thanksgiving, I'll be making it a goal to whip up each of these. Pumpkin Cinnamon Rolls via The Novice Chef. Pumpkin Crumb Cake Muffins via Sally's Baking Addiction. Mini Pumpkin Pies via Home Is Where The Boat Is. 7-Layer Pumpkin Magic Bars via Bakers Royale. Melt-In-Your Mouth Pumpkin Cookies via Dear Crissy. Pumpkin Protein Smoothie via Skinnymom. Pumpkin Ravioli with Sage Browned Butter and Pecans via A Chef's Kitchen. Pumpkin Spice Truffles via Sally's Baking Addiction. Pumpkin Scones via Cooking Classy. Pumpkin Caramel Cheesecake Bars with Streusel Topping via Chelsea's Messy Apron.